Joints provide support when you move so any damage to the joints from disease or injury can cause you a lot of pain and significantly limit your mobility. Joint pain is very common and can be caused by arthritis, osteoarthritis (arthrosis), bursitis, gout, sprains or other injuries. Joint pain can range anywhere from mild to severe and can last from few weeks to couple of months. Whether long or short term, joint pain can drastically affect the quality of one’s life. You can find relief from oral or topical medications. Topical treatment is one of the most effective ways to relieve joint pain. 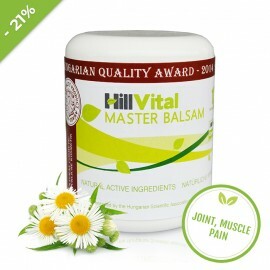 Master Balsam is our most popular balsam to relieve pain and swelling and improve one’s range of motion. Master contains a high amount of horse chestnut along with other 12 herbal extracts that form a powerful anti-inflammatory and antibacterial formula to help relieve swelling, reduce pain and strengthen venous walls and capillaries. 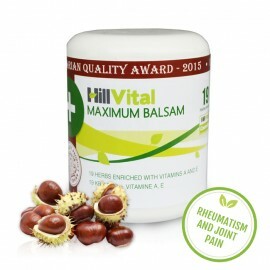 Free from artificial colours, perfumes, parabens or petroleum, HillVital products have been uniquely designed to provide relief from achy and swollen joints. 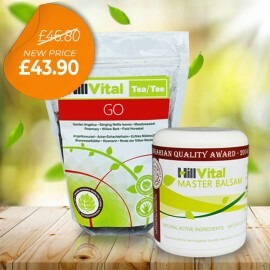 Herbal products work by soothing joints and muscles, relieving pain and stimulating regeneration. 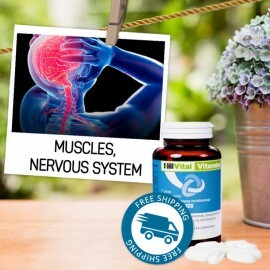 Stiff muscles and joints? 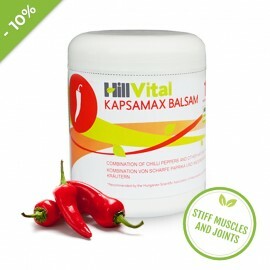 Kapsamax Balsam contains a key ingredient capsaicin which helps relieve stiff muscles and joints and reduce itching and redness. 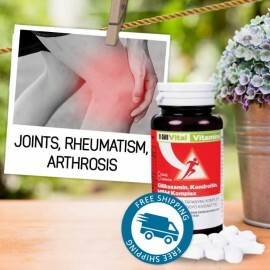 Our vitamin supplement Glucosamine, MSM, Chondroitine promotes healthy cartilage structure and helps treat osteoarthritis, muscle damage caused by exercise, and other inflammatory joint disorders. Vitamin pack Vitago contains the right combination of vitamins for a 30-day supportive treatment of joints, muscles and cartilage. 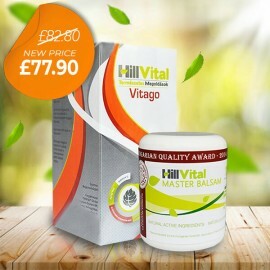 Vitago contains a mixture of potent vitamins, minerals and herbal extracts to regenerate a nourish achy joints. 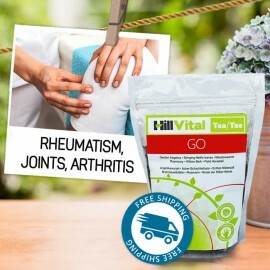 Natural herbal blend Tea Go is made of carefully combined natural herbs that are beneficial in treating joint pain, rheumatism, arthritis, arthrosis or osteoporosis all the while stimulating regeneration.